Michele Ferrero lived from 26 April 1925 to 14 February 2015. He was the Italian who owned the chocolate manufacturer Ferrero SpA. Ferrero's father started this company in 1946, from a small bakery and café of his father in Alba, Piedmont. Michele Ferrero's brands include Nutella, Mon Chéri, Kinder Chocolate, Ferrero Rocher, Tic Tacs and Kinder Eggs. He is said to have named Ferrero Rocher after a sacred grotto in Lourdes. Ferrero and his wife Maria Franca Fissolo had two sons together, Giovanni Ferrero and Pietro Ferrero Jr.Michele was a fervent Catholic. Ferrero made a pilgrimage to the Lourdes shrine annually, and had a Madonna placed in every factory and office. Ferrero died on 14 February 2015, at his home in Monte Carlo, Monaco. He was 89. 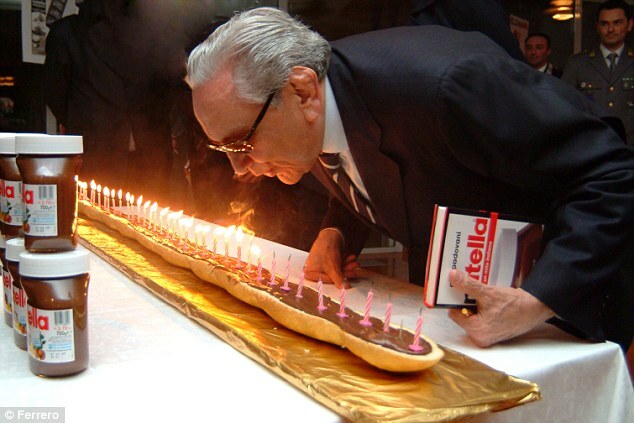 Michele Ferrero said at the celebration of the 50th anniversary of the founding of the company: “The success of Ferrero we owe to Our Lady of Lourdes, without her we can do little.” Michele Ferrero was the richest person in Italy, with a worth of $23.4 billion. Ferrero operates in 53 countries with over 34,000 employees.